Volker Kriegel (born 1943, died 2003) is one of the best and most important German jazz guitarists of the post-war period, internationally highly acclaimed he pushed the innovation of jazz rock. The inner circle of friends around his wife Ev Kriegel has now made an incredible treasure of old recordings from his various creative phases audible again. Previously unreleased live recordings as well as well-known material from his albums have been digitized and lovingly remastered. These audiophile pearls form the “Volker Kriegel Archive”, which are now released on Moosicus. 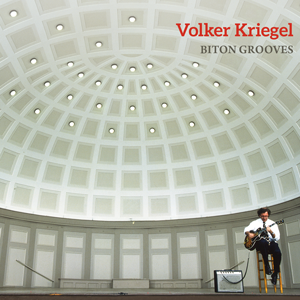 The “Biton Grooves” were recorded between 1974 and 1981 in Frankfurt’s Biton Studios as 5 albums as so-called background music for radio and television productions. For the first time this material is now released on a double CD and forms a musical cross section through the development of fusion/jazz rock which was influenced by Volker Kriegel in several decades.